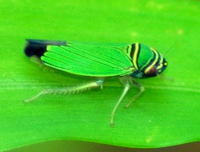 Description: A very distinctive, brightly colored species that is slightly smaller, at 4.2- 4.5 mm, compared to its cousin T. bifidus. 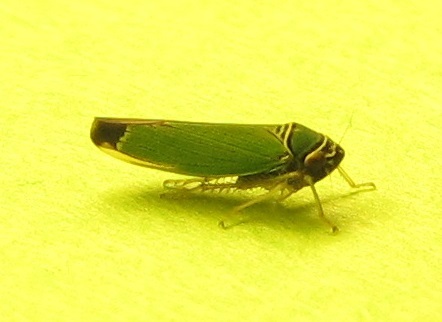 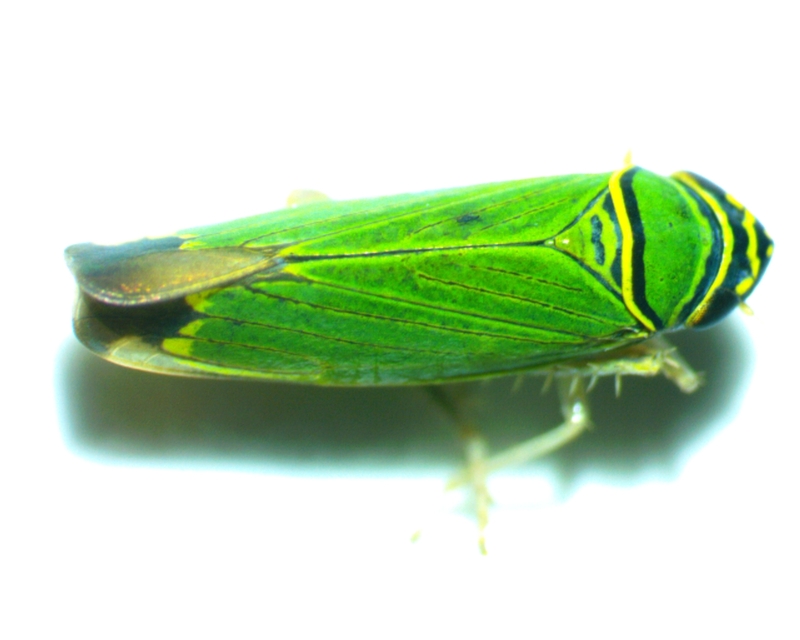 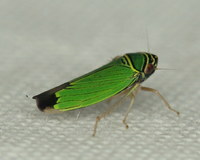 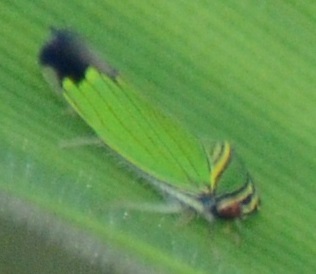 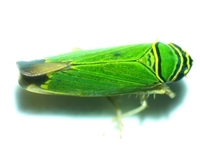 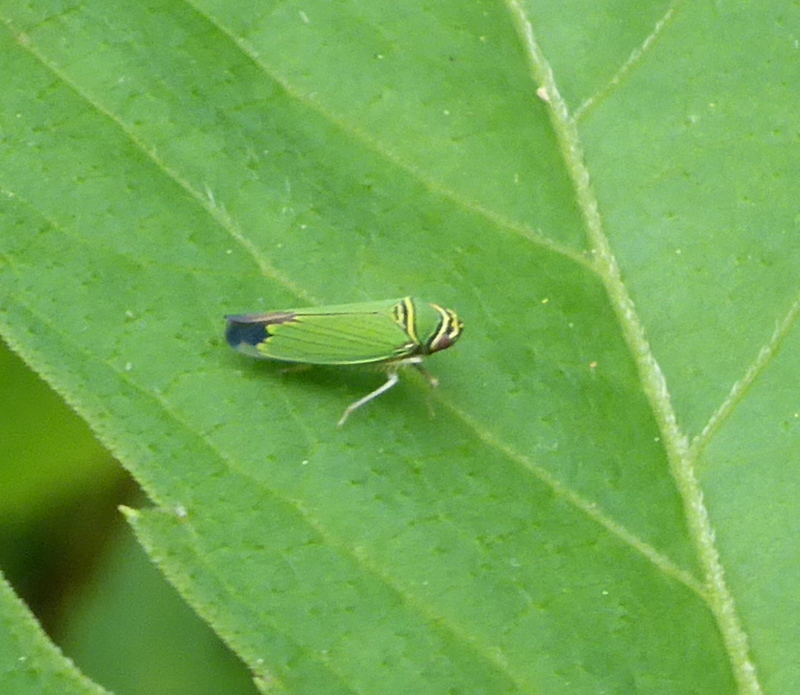 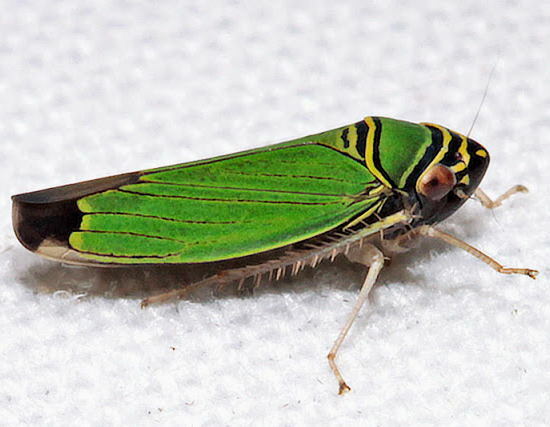 This species is mostly green, with green wings, a partly green-colored scutellum, and a green pronotum. 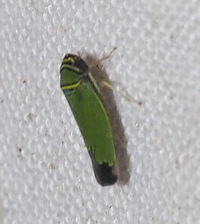 There are bold yellow transverse bands bordered by black bands on the top of the head and thorax, and the abdomen is dark with a tinge of yellow. 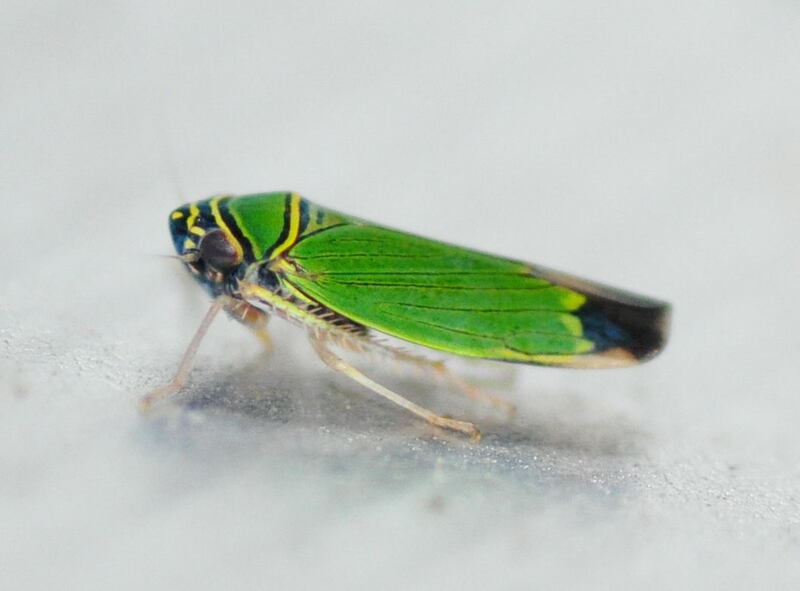 Lastly, the face is dark, characteristic of this species (AI).There is a dark form of this species, where the green is replaced with a dark blue; this form though might only be found in Florida per Bugguide. 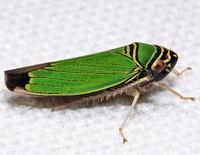 Distribution: A common and widespread species that ranges from Maryland south through the Southeast and west to Texas, where its range continues into the Neotropics to South America and the West Indies (BG). 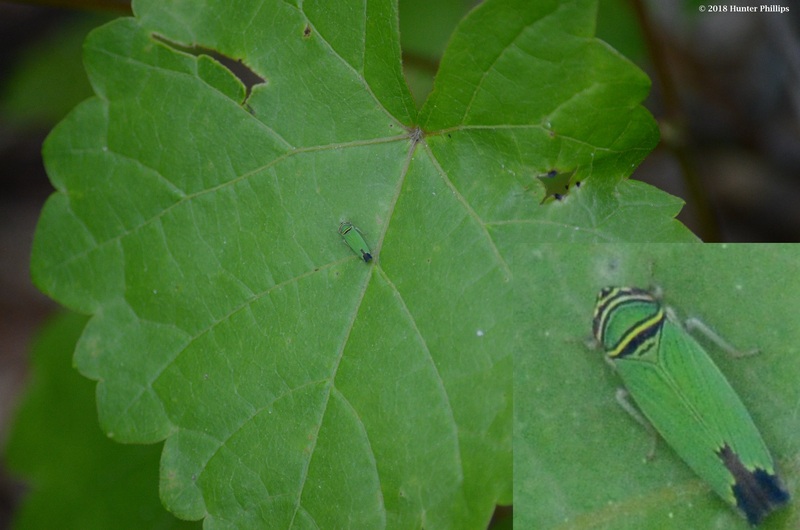 Abundance: Has been recorded across the state, primarily in the Piedmont; locally common where found, probably more common in the state in the right habitats. 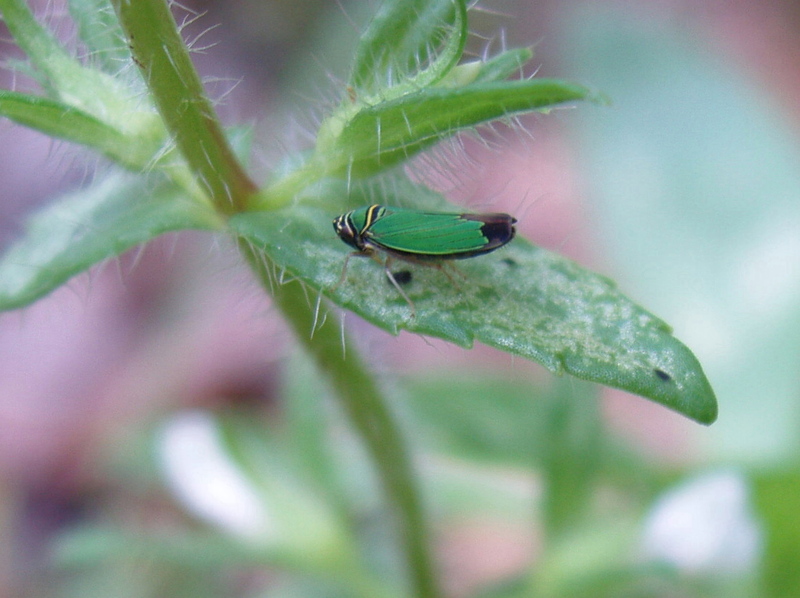 Habitats: Recorded in a variety of grassy and brushy habitats, including microstygium. 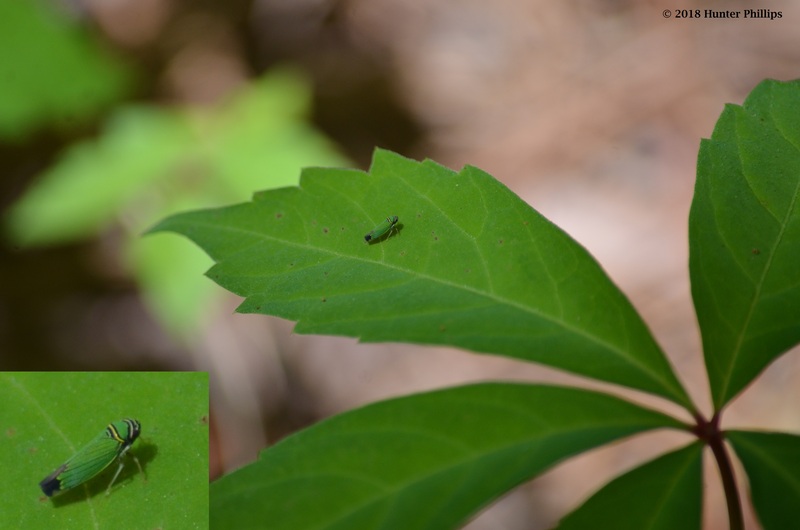 Has also been found in mixed hardwood forests.